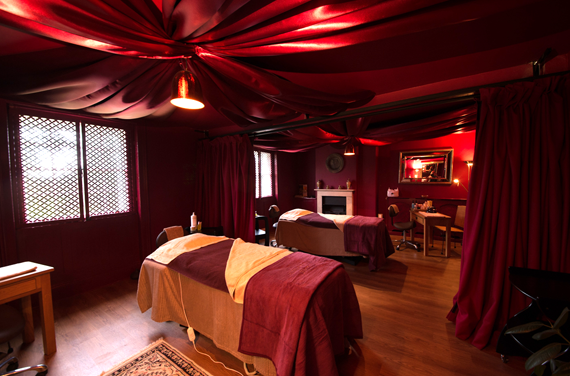 Draped in luscious red silks, our Morocco treatment room is sensual and luxurious. 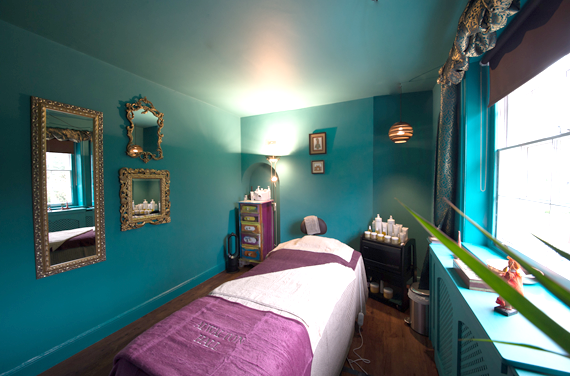 With two treatment beds and space aplenty, it’s perfect for treatments with a friend or as part of a couple’s package. 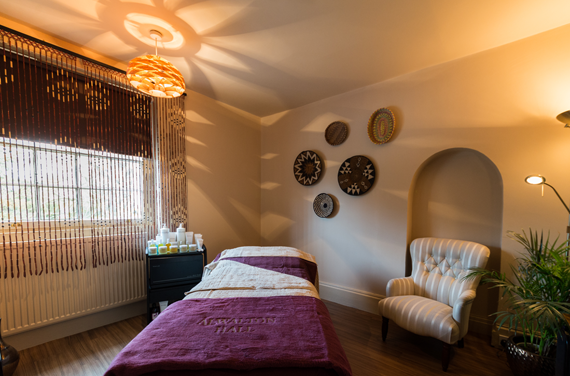 Carefully balanced and coordinated to create a calm and soothing space, our Japan treatment room is light, airy and decorated with oriental features. 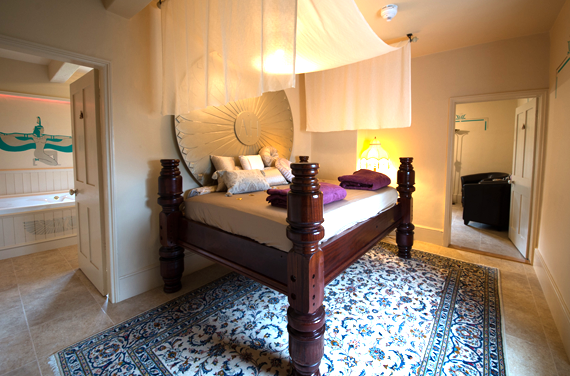 Truly luxurious and exotic, the Cleopatra Suite at Alwalton Hall is a space even Ancient Egypt’s Queen would approve of. With a couple’s bath, Egyptian day bed, a couple’s treatment room and little touches throughout the Suite is truly unforgettable and indulgent. 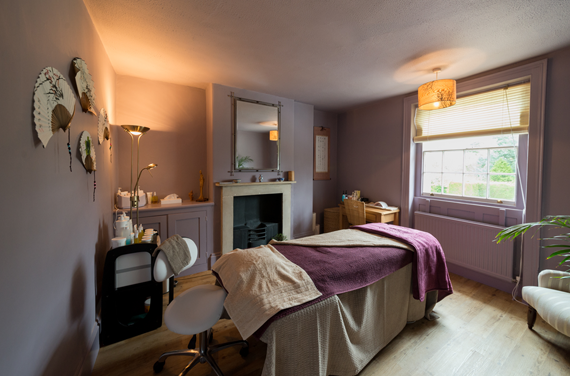 The Alwalton Hall experience is all about giving you the chance to escape from the day-to-day, with treatments from our expert therapists and beautiful spaces that help you to unwind and relax. When you arrive, you’ll be warmly welcomed by one of the Alwalton Hall team, where you can discuss your visit and treatments. Whether you want to buy a gift, enjoy some retail therapy, or get expert advice to help you choose the perfect after care product, we encourage you to try things out from the tester stands and to ask your therapist for recommendations. Products from our partners may be purchased at reception. It’s not simply the beautiful interiors that make the Alwalton Hall experience truly special; it’s the lovingly landscaped grounds and outdoors spaces too. There are five acres of grounds for you to explore as part of your pamper experience at Alwalton Hall, with secluded routes and beautiful views of the English countryside. (Grounds open from mid-April to September – opening and closing dates will vary slightly from year to year). 2019 grounds opening scheduled for 9th April. For guests on a pamper package there are a number of day-beds set in the grounds for relaxing, or even sleeping on, if the mood takes you! Our outdoor, heated 15-metre swimming pool is perfect for a relaxing dip as part of your pamper package at Alwalton Hall. The swimming pool is available for use from mid-April to September and is complemented by a sun terrace and dedicated changing rooms for clients. 2019 pool opening scheduled for 9th April. Complete your visit to Alwalton Hall with the chance to unwind in our warm, bubbling Artic Spa pool. The spa pool is available for use whenever the pool is open. There is ample private car parking at Alwalton Hall. Simply enter through the main gates and pick your spot. If you can’t find a space for any reason pop into reception to let us know and we’ll do some shuffling. If you have special access needs and/or any difficulties with mobility please give us a call on 01733 391166.